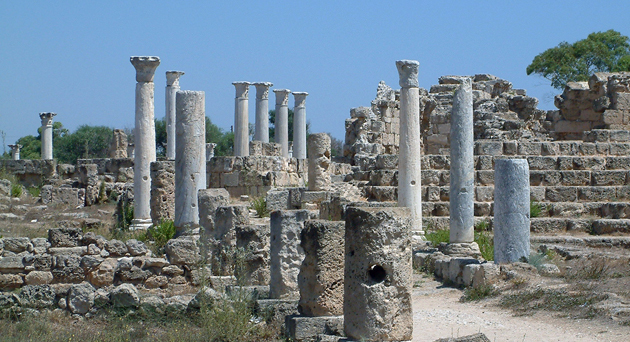 North Cyprus will enchant you with its unspoiled nature and beautiful weather, friendliness of the local Cypriot people; it is virtually crime free and provides lots of opportunities to make your social life in Northern Cyprus as interesting as you want it to be, with the thriving and growing Western European and a large local British community. It is not commercialised by massive tourist industry. Northern Cyprus Property offers the best value for money investment in the Mediterranean region with a high standard of living, significantly cheaper than in any other popular European destinations. 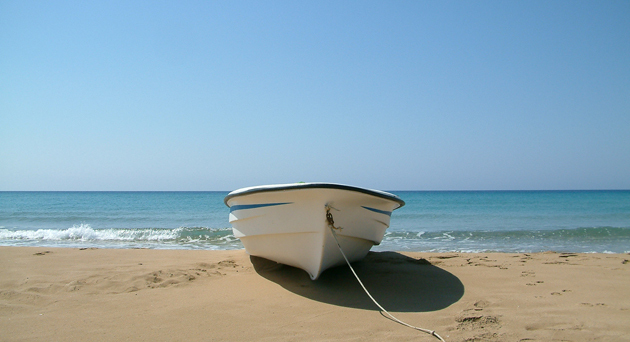 With properties in North Cyprus your investment has a huge potential value growth to boost your hard earned savings. Typically Mediterranean with long dry summers and short, rainy winters. The average annual temperature is 19ºC (66ºF). The temperature in midsummer can soar over 40ºC (105ºF) with the warmest sea temperature in the Mediterranean, averaging 21ºC (75ºF) . The winter months are very mild and there is an average annual rainfall of 500 mm. Cyprus is the third largest in the Mediterranean. 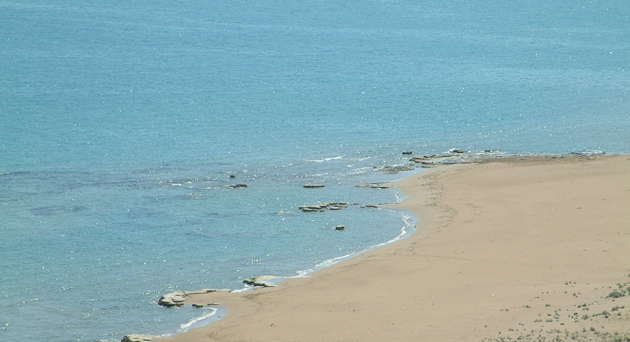 Nearly half of coast-line of the island is also part of the TRNC. About 45% of the area is arable land, 20% of which is irrigated. Nearly 20% of North Cyprus total area is wooded and there are extensive re-forestation programs in progress. It is situated at the cross-roads of east-west and north-south navigational routes, is only 70 kilometres south of Turkey and 385 kilometres north of Egypt. Owing to the location of Northern Cyprus and its proximity to the rich Middle Eastern countries, it provides an ideal place for foreign investment. Living costs in the TRNC are much cheaper than the UK and most of Europe. There is no rates system at present, or community tax in North Cyprus. The main costs are electricity which costs 0.106 New Turkish Lira per KW which is the equivalent of 4 pence per KW. (approx. £ 15 monthly per house), water costs 20 New Turkish Lira + %13 VAT for 0-20 Tons of water per month which is the equivalent of £8 for 0-20 tons of water per month and an annual council tax is less than £ 40 (£2.90 per month which includes waste collection, pavement and road cleaning, etc.). Central heating is rare in Northern Cyprus but is usually run on gas or oil. Most cookers are run on gas canisters (1 gas canister costs approx. £6 and lasts as long as 2/3 months) and/or electricity. 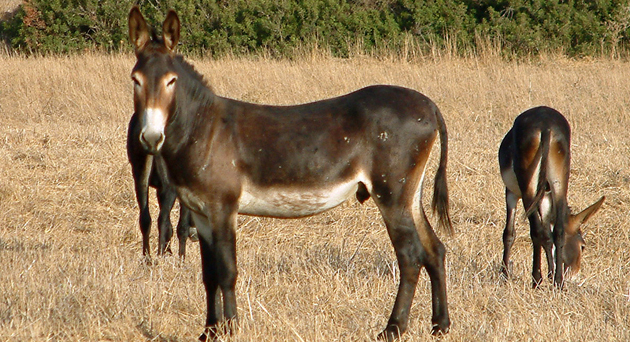 There is a wide selection of consumer goods of high quality in North Cyprus. In addition to locally produced goods almost all foreign brands are available on the market. It can be estimated that the cost of foodstuffs generally is about half or even less than UK prices. Items such as local North Cyprus brandy, retailing at around £1.20 sterling per bottle, 1 loaf of bread (weighing 300 gr.) at £0.13, 1 Lt. of long life UHT milk at £0,39, a pack of 20 B & H cigarettes at £0,69, etc. 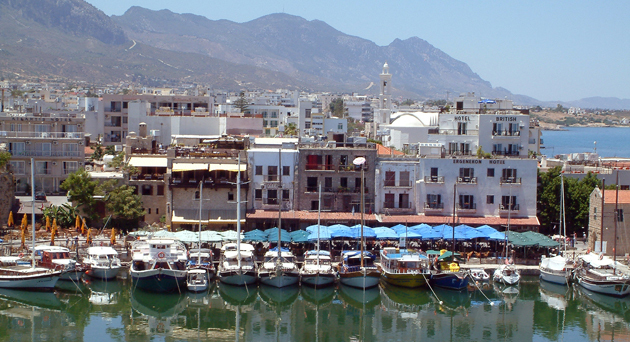 Most household items can be bought in North Cyprus at about the same price as Europe. Most international makes and models are available (Whirlpool, Kelvinator, Candy, Philips, Pioneer, Panasonic, Siemens, Arthur Martin, Bosch, Tefal, Beko, Sony etc). 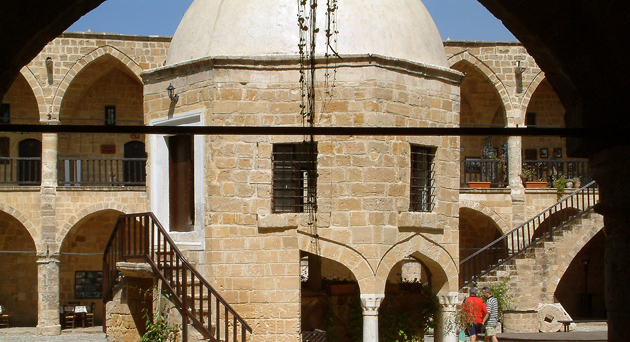 Auctions are also held monthly in Northern Cyprus where a vast array of items can be purchased at reasonable prices.